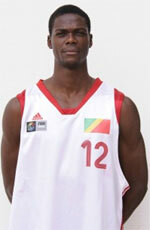 Union Financiera Baloncesto Oviedo (LEB Gold) landed 20-year old Congolese forward Judicael Belemene (205-97). He is not a newcomer in Spanish League as he played most recently at ICL Manresa in Liga Endesa. However his team was relegated to LEB Gold. In 28 Liga Endesa games he averaged just 2.8ppg and 1.8rpg last season. LEB Gold will be definitely a better match and he can see more playing time. Belemene helped them to make it to the final. The previous (15-16) season he played at Unicaja B Malaga (LEB Silver) where in 31 games he was fifth best scorer with impressive 15.3ppg and recorded 5.7rpg and 1.3apg. Belemene contributed to his team making it to the semifinals. 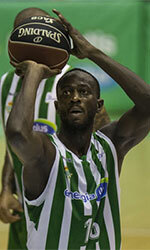 He has played previously for two other teams: Unicaja Malaga and Clinicas Rincon.